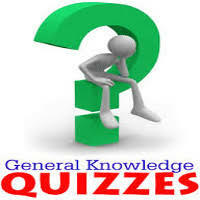 General Knowledge questions on Indian GK for Bank PO, IBPS, Bank Clerical And Indian GK For Railway GroupD,RPF,Rajasthan Police SI 13-09-2018 questions for bank exams, very important computer-related questions for Bank PO, SBI PO, IBPS,RAS, IAS, UPSC, RPSC, 1st, 2nd, 3rd Grade Teacher, REET CTET, LDC, SSC CGL, IBPS, MBA, CAT, MAT, SBI-PO, RBI And Railway, Indian Army And all competitive Exams, and Most expected Computer Question Papers with answers. These Questions are most commonly asked in Other Banking Exam And All subject Wise Notes and Math, Hindi, English, History, Political Science, Psychology, Sanskrit Related Study material. Question(1) Where is the original residence of Maori? ‘ माओरी ‘ का मूल निवास कहाँ है ? Question(2) The rivers Tungabhadra and Bhima are the tributaries of which river? तुंगभद्रा तथा भिमा की नदियाँ किस नदी कि सहायक नदियाँ हैं ? Question(3) Which is the tallest peak of Chota Nagpur Plateau? छोटानागपुर पठार की सबसे ऊंची चोटी कौन-सी ? Question(4) Which is the world’s largest peninsula? विश्व का सबसे बड़ा प्रायद्वीप कौन-सा है ? Question(5) Which medicine is made from cinchona tree? सिनकोना वृक्ष से मलेरिया की कौन- सी दवा बनाया जाती है ? Question(6) Which is India’s largest canal project? भारत की सबसे बड़ी नहर परियोजना कौन सी है? Question(7) What name is man-made lake known in the Bhakra-Nangal project? भाखड़ा-नांगल परियोजना में मानव निर्मित झील को किस नाम से जाना जाता है ? Question(8) Which planet is called the ‘red star’? किस ग्रह को ‘ लाल तारा ‘ की संज्ञा दी जाती है ? Question(9) What is the award given in the field of journalism in the world? विश्व में पत्रकारिता के क्षेत्र में दिया जाने वाला पुरस्कार कौन सा है? Question(10) Which is India’s largest national award? भारत का सबसे बड़ा राष्ट्रीय पुरस्कार कौन सा है?